Certified by the American Board of Internal Medicine, Dr. Moulton joined the Johnson City Internal Medicine team in 1995. Receiving his Bachelor of Science from Ohio State University, he later went on to obtain his Doctor of Medicine from the University Of Cincinnati School Of Medicine. 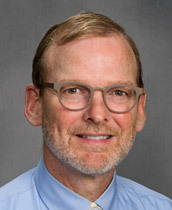 Dr. Moulton has held numerous faculty positions throughout his tenure including Clinical Associate Professor at East Tennessee State University. He is a member of the American College of Physicians and the Tennessee Medical Association among others.